With the new semester beginning, you may have missed catching the Messiah sports teams in action. But, we’ve got you covered with our Weekly Sports Update. Women’s Cross Country took part in the Shannon Henretty Invite Saturday. The team finished in second place. Junior Leanne Weaver finished in 6th place out of 118 runners. Men’s Cross Country also participated in the Shannon Henretty Invite. Led by senior Zachary Lofties, the team finished in third place behind Johns Hopkins and MAC Conference rival Stevenson. Messiah took down Ursinus College 1-0 after Junior Kristen Musser deflected Senior Megan Wetzel’s shot in the first half. The goal was Musser’s first of the young season. 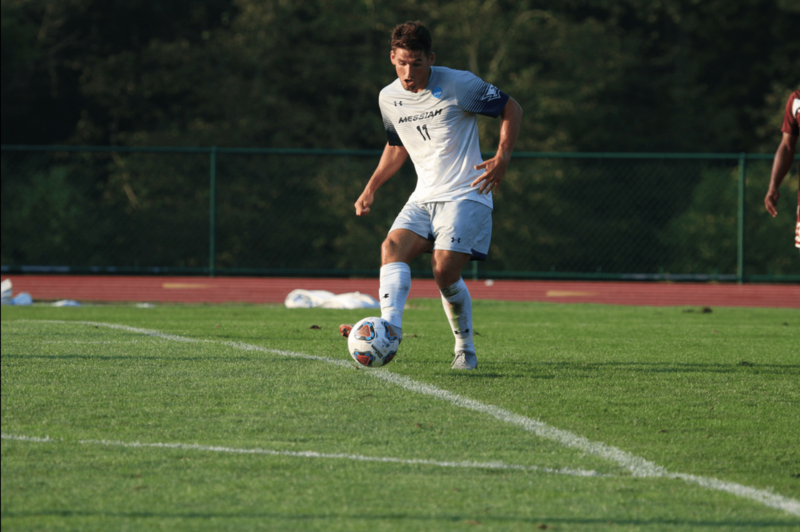 Over the weekend, Messiah shutout Salisbury College 2-0. Sophomore Hannah Palm started the action in the first two minutes of the game giving Messiah the 1-0 lead. Megan Wetzel added an assurance goal in the second half and the Falcons moved to 4-0 in the season. Women’s Volleyball hosted the Cabrini Cavaliers and Houghton Highlanders on Saturday. The team defeated the Cavaliers 3-2 and the Highlanders 3-0, to increase to a 6-1 record. Men’s Club Soccer kicked off their season on Saturday, defeating Elizabethtown College 3-0. Women’s Soccer beat John’s Hopkins 3-0 on Wednesday with goals from Barb Foster, Emily D’Amico and Emily Lockwood. On Saturday, the team lost their first game of the season to William Smith College 1-0. Their record is now 3-1. Men’s Soccer also had two matches this past week. First, they defeated Hartwick College with goals from seniors Nick West, Justin Brautigam and Samuel Ruiz Plaza. Then Messiah put together a dominating win over Montclair State winning 5-1. Nick West led the way with two goals. Women’s Volleyball vs. Stevenson College 7:00 p.m.
Field Hockey @ Juniata College 7:00 p.m.
Women’s Soccer vs. DeSales University 7:00 p.m.
Men’s Soccer @ Dickinson College 7:00 p.m.
Men’s Club Soccer @ Shippensburg 7:00 p.m.
Field Hockey vs. College of New Jersey 1:00 p.m.
Women’s Soccer @ Carnegie Mellon University 6:00 p.m.
Men’s Soccer vs. Eastern Mennonite University 7:00 p.m.